We had quite a few rainy days this week...ugh! I know that here in California we need rain, but I hate it. If it never rained I would be totally fine with that, you know, minus the whole drought aspect. Rainy days are the worst. I hate being cooped up indoors, especially with kiddos around. I had my five year old niece with me last weekend in addition to my own little 8 month old and you can only do so much inside all day before everyone goes stir crazy. 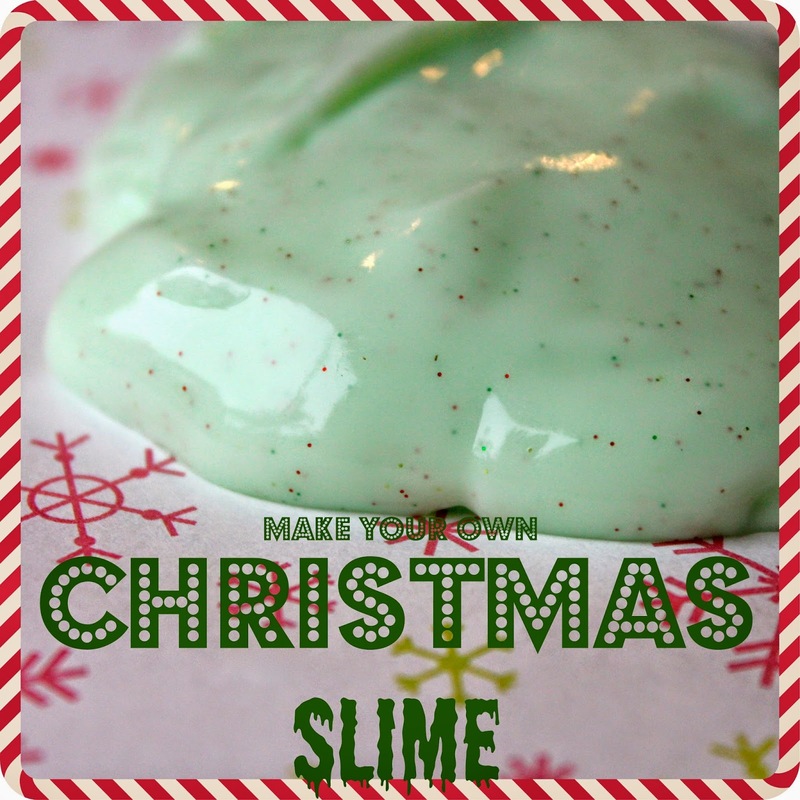 Fortunately, I remembered that I had supplies to make slime and turned it into a fun, rainy day, Christmas activity. 1. Empty your bottle of glue into your mixing bowl. Fill your empty glue bottle with water and add to the glue. Stir until well combined. I used a fork and whisked it, which I think worked better than a spoon. 2. Add a few drops of food coloring to get your desired color and stir to combine. 3. Add a couple of shakes of glitter and stir. Don't worry, the glitter stays in the slime and won't get glitter all over the place! 4. In your cup, mix 1/2 cup of hot water and 1/2 teaspoon of borax until dissolved. Then, add to your glue mixture. 5. Mix together until your water is completely absorbed. The mixture starts turning into slime almost instantly! I used my hands to mix instead of a fork after a minute or so. Then, when it wasn't retaining some of the water I put my slime into a ziplock bag and squished it around in there to get it mixed extra well. There ya have it! Squish it, use cookie cutters on it, make handprints and watch them disappear...we played with ours for quite some time! Even Henley had fun! She didn't know what to make of it at first, but was fascinated by it. It was so neat to watch the girls make and discover the slime! We will definitely be doing this again. 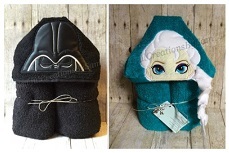 I'd love to know what your little ones think of this project! Oh, yes and did we ever get some rain! Thanks for sharing your recipe at the party. Giving it a shout out and pinning it. 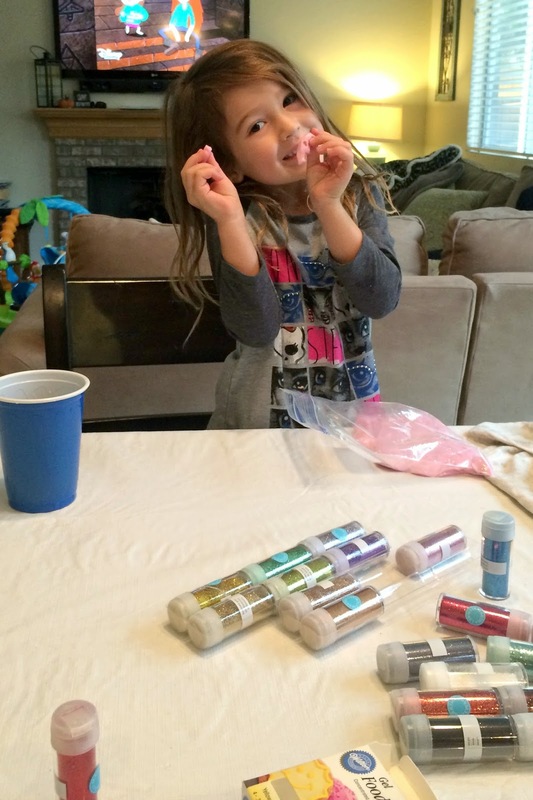 Thanks for sharing @DearCreatives Looks like the kiddos had a blast with it!